Friday, January 18, Dekker Chrysanthemums and Decorum were represented together at the florist show at wholesaler Krokus in the Russian city of Kazan for the fourth time. Around 200 florists are present to gain inspiration about this year’s theme “Flower dress”. The show was organized in collaboration with Kazan Flower School, Nadezhda Deikova who specializes in flower dresses and the Dutch exporter Enigma Flowers and Plants. 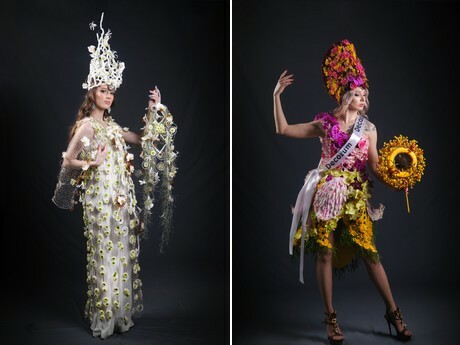 The Russian floral designer and winner of the Lilleball Flower Dress competition 2018, Nadezhda Deikova designed two dresses using the chrysanthemums of Dekker Chrysanthemums and a wide array of flowers provided by growers of Decorum. 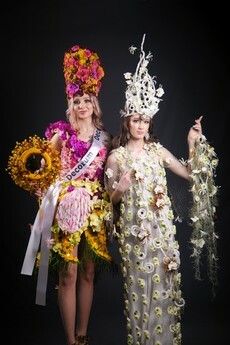 Nadezhda: “I really enjoyed creating a cheerful dress using the large assortment of flowers provided by Decorum. Together with Dekker Chrysanthemums I put together a romantic, tranquil and feminine dress. It is amazing to work with such high-quality flowers.” The presentation of both dresses was done in a grand manner. During the procession of the Dekker Chrysanthemums dress, Tchaikovsky's Waltz of the flowers was playing and children threw flower ribbons made by Antonov in front of the model in a gorgeous white dress. The demonstration of the warm Decorum flower dress was accompanied by dancing children. The event was apparently so impressive that some of the audience members even got goose bumps from the show. 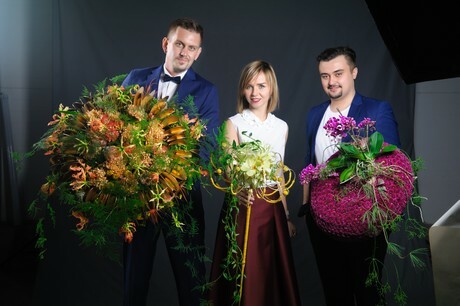 On behave of Kazan Flower School Lyasan Afonina, Maxim Votjakov and Nadezhda Gorelova made bouquets and compositions on the stage. They showed the florists present why they chose to use flowers from Decorum, like lilies and Lisianthus, and flower varieties of Dekker Chrysanthemums like Antonov or Willem Orange to work within their compositions. Decorum is working actively with its partners. “This is a great example of the collaboration between grower, breeder and end consumer and fits in line with our strategy for Russia,” says Jeroen Boon, account manager of Decorum and project leader Russia.